With a record-breaking 80,922,000 passengers flying through Los Angeles International Airport in 2016, germophobes might feel wary using any one of the airport’s restrooms. But starting Wednesday, LAX is introducing a new pilot program to help ease concerns over the cleanliness of its bathrooms. According to the Los Angeles Times, LAX has partnered with tech companies Infax and Tooshlights to turn a Terminal 4 bathroom into a “smart restroom” for American Airlines, American Eagle, and Qantas fliers. The Infax technology is a digital tracking system that will keep count of the number of people who go in and out of the restroom, the amount of time it’s been since it was last cleaned, and whether or not there is an attendant present. After a set number of uses, the system notifies janitors that the bathroom needs to be cleaned. Managers can also utilize this system to monitor staff. Rather than improve cleanliness, the Tooshlights technology promises to make the bathroom-going experience more efficient. 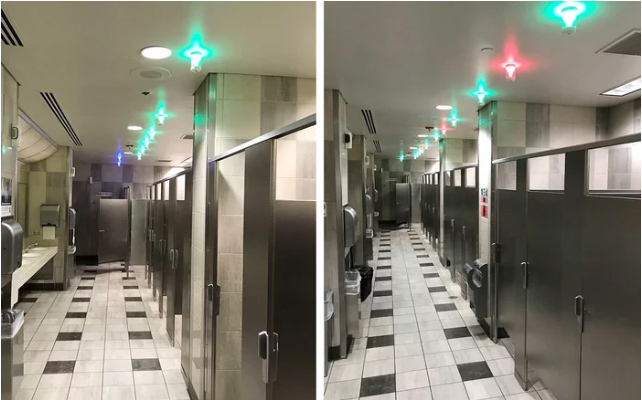 Lights above each stall door will indicate whether it is occupied or vacant: if the light is red, it’s in use; if green, it’s available. Tooshlights claims this tech will speed up the line as bathroom guests will be able to easily assess which stalls are free to use, without the awkwardness of peeking under stalls or attempting to open locked doors. 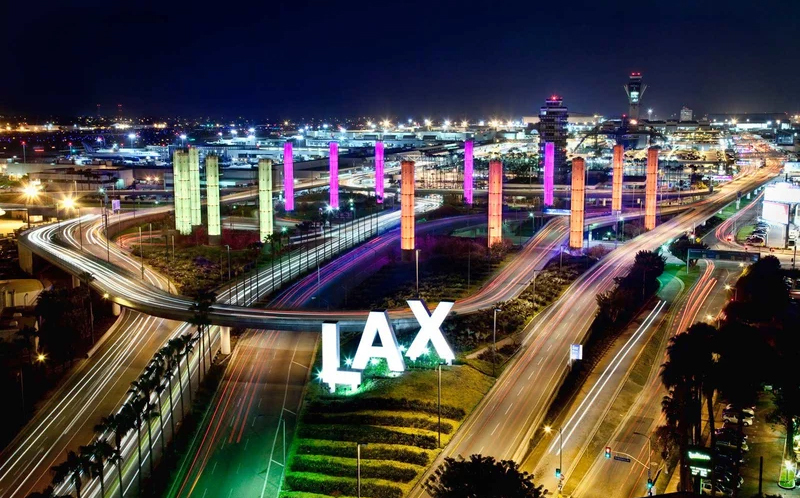 “We’re incredibly excited to try out this new technology, which should help improve our guest experience and allow us to better monitor and service our restrooms,” Barbara Yamamoto, chief experience officer at Los Angeles World Airports, told the Los Angeles Times. Because this is a pilot program, however, time will tell whether LAX deems it worthwhile to install the smart technology in other restrooms across the airport.